With a plethora of happy hues inspired by the bridesmaid dresses from Liza Emanuele this bright and cheery Bedell Cellars Winery is the definition of vibrant. Sprinkle in some classic elegance, and ladies and gents, we have a winner. See even more in the VAULT. Images by W Studios New York. 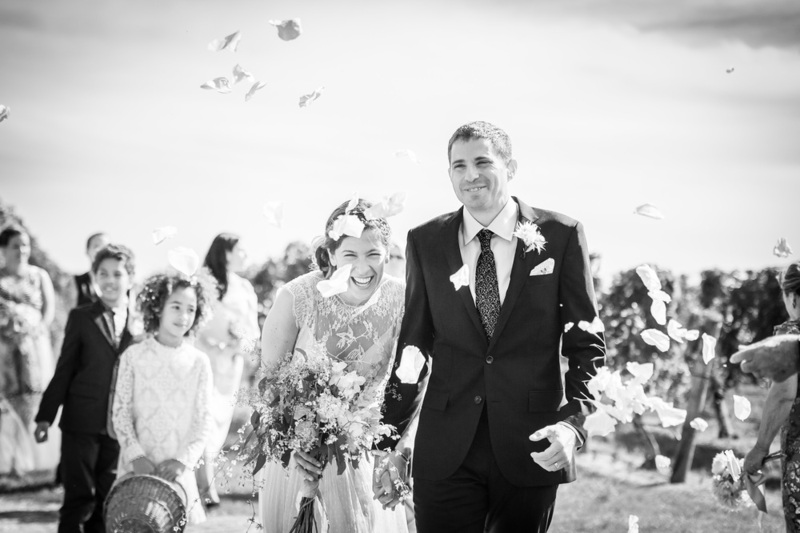 Lauren & Brian’s wedding at Bedell Cellars felt like a Gatsby-esque garden party. 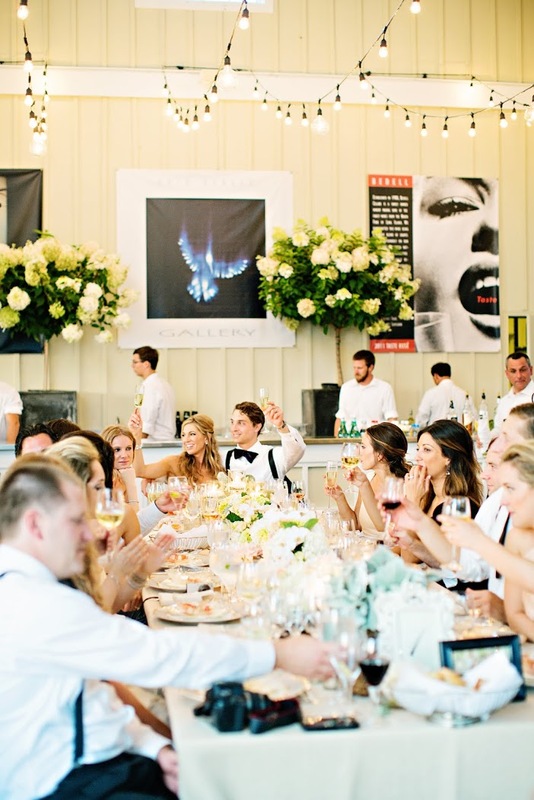 Accented by Lauren’s 1920′s look their celebration combined the best of the vintage and the modern. They exchanged vows under a 100-year-old Maple tree on our cottage lawn, and danced as the sun dipped below the vines, coloring the sky in hues of pink and purple. As featured on Style Me Pretty, images by W Studios New York. was in full bloom! The Gatsby-meets-rustic chic look included a gorgeous huppah and over the top centerpieces dotting the pavilion. Kabri & Jora’s autumnal wedding fell on one of the last warm days of September and their colors matched the season. 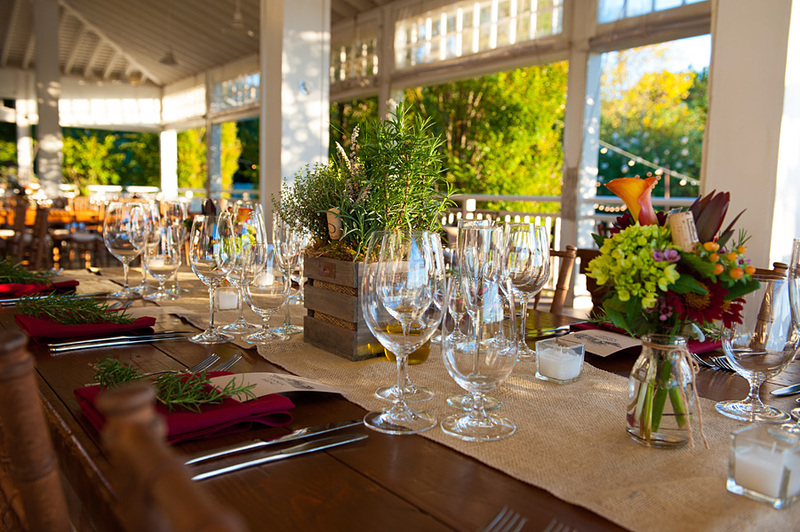 Food and wine connoisseurs, their menus featured inspirational quotes from Robert Mondavi and Julia Child, wine red napkins, and sprigs of Rosemary. 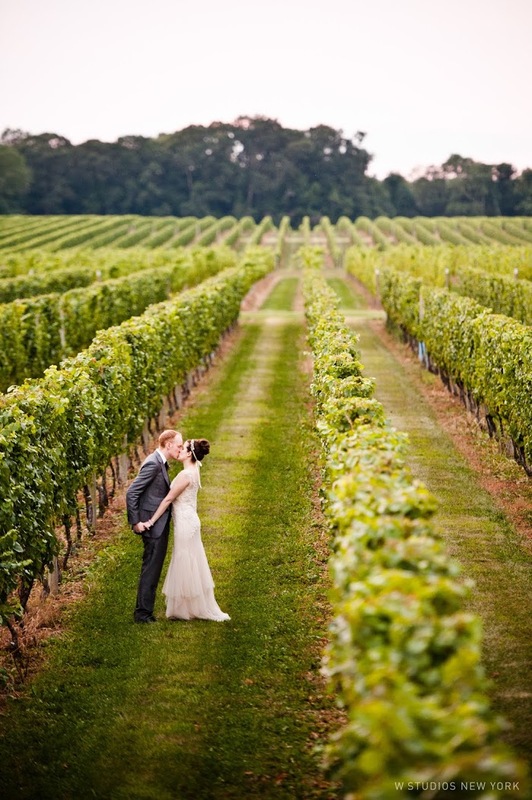 As featured on Wedding Wire, images by Sherry Pickerell Photography. Melanie & Willis’s wedding almost doesn’t need any explanation – it was just gorgeous. They’re also featured as the main landing photos for the wedding pages on this website. Images by Lilian Haidar. This modern wedding photographed by Mark Kopko highlights the early summer season with crisp décor and unique floral design by Karen Lenahan. 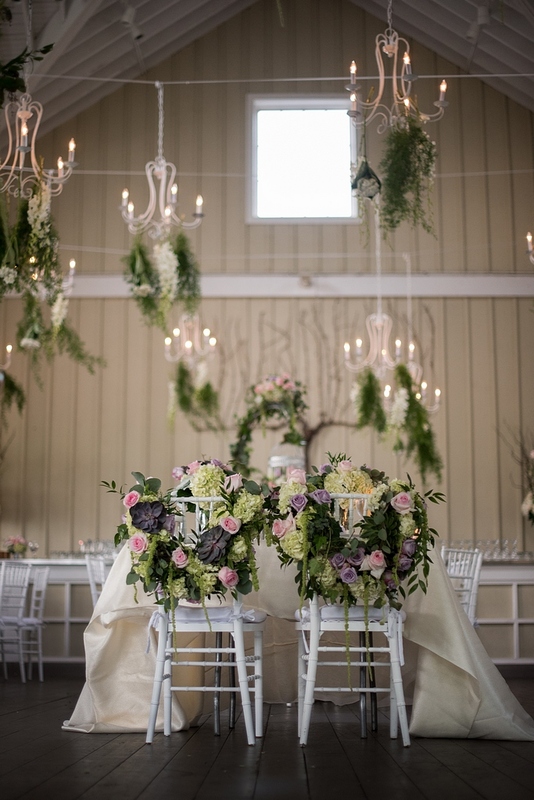 The two grooms paid attention to every detail with an absolutely gorgeous result. 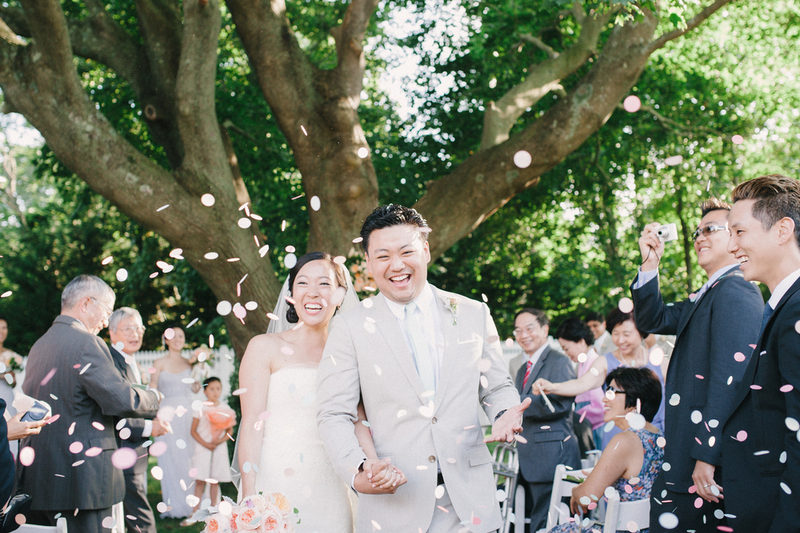 Peach tones soaked in sunshine capture the emotions of this vibrant summer wedding - a Hamptons classic captured by Judy Pak. It has all the details we adore – the gorgeous white dress, the effortless elegance, and reception tables that dreams are made of. started to rise over the vineyard as the wedding was winding down. Images by Caroline Rocchetta.